Your dryer vent is a two-way passage carrying damp, dry air outside and bringing mice, insects and other nuisance pests inside. Cracks or gaps between the dryer vent and the outside wall are open doors to pests and higher energy bills. Save money and block out intruders by applying proper sealant around the vent. When the dryer vent is installed, it runs through an exit hole at the outside house wall. This hole is cut slightly larger than the vent, allowing easy installation and vent adjustment. The connection is often covered with flashing or caulking to seal air gaps. The flashing is not always a snug fit against the wall, however, so house air escapes to the outside and outdoor air leaks inside around the vent. When caulking is used, it deteriorates over time and leaves sealant gaps -- permitting insects, rodents and drafts to enter the home. Applying vent sealants repairs loose flashing and replaces old caulking. Silicone caulk, applied from a squeezable tube or caulking gun, is easy to apply and fills small openings around the vent with a smooth, durable sealant. Silicone caulk flows out of the applicator tube or cartridge and bridges the crack or hole, sticking to the wall and dryer vent. Use sheet-metal screws to secure loose flashing. Also, caulk around the flashing. 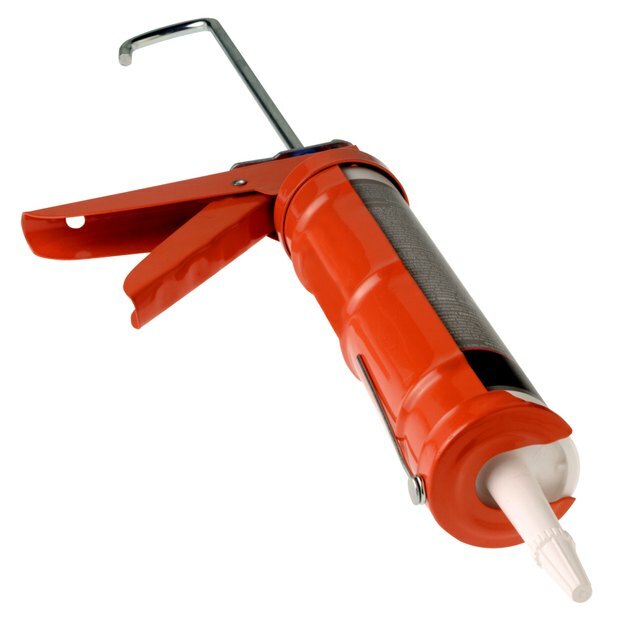 This caulking is flexible and fills cracks or gaps up to one-quarter inch wide. Check label restrictions, as some silicone caulk is only for indoor use and should not be used in freezing temperatures. Use outdoor caulk for vents exposed to hot or cold weather. Insulating foam sealant comes in a pressurized can and is sprayed through a tube into building spaces or gaps. This polyurethane sealant is of two types: high-expansion, designed to fill large holes and gaps by expanding many times its original size, or low-expansion, designed for smaller cracks and expanding up to 25 percent of its original size. The low-expansion foam is designed to fill small gaps, such as sealing dryer vents. Insulating foam sealant requires time to cure, up to 24 hours, and is available at most hardware stores and home-improvement centers. Rats and mice chew through caulk and foam to enter a home. Exclude these persistent pests by cutting wire mesh or screen to fit into larger gaps, then caulking over the screen to stop air leaks. Another method is packing stainless-steel wool in the hole and caulking over the wool for a smooth finish. The steel wool keeps out chewing rodents and the caulk blocks insects and wasps. Regular steel wool is not recommended because it rusts and may stain walls.